Make breakfast delicious! The extra-deep grids create big, fluffy Belgian waffles that hold plenty of syrup and all your favorite toppings. 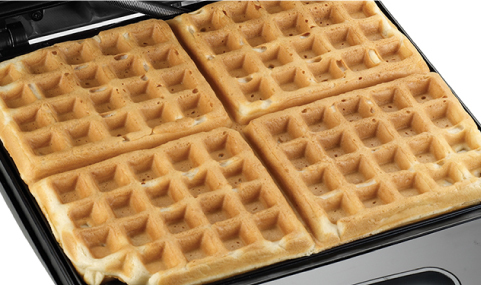 Nonstick waffle plates make one big waffle or the divider splits waffles into 4 rectangular sections for easy and convenient sharing. 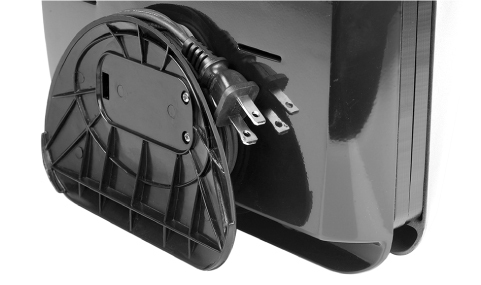 Its vertical stand and cord wrap make for easy and convenient storage when putting away. Makes 4 Belgian Style Waffles. The extended handle lets you safely open the waffle maker while it’s hot. Waffles come out thick, fluffy, and delicious, every time. Plus, the nonstick surface means waffles come out fast and easy. The space-saving design allows for easy and convenient storage. Make 1 big waffle or divider splits waffle into 4 rectangular sections. 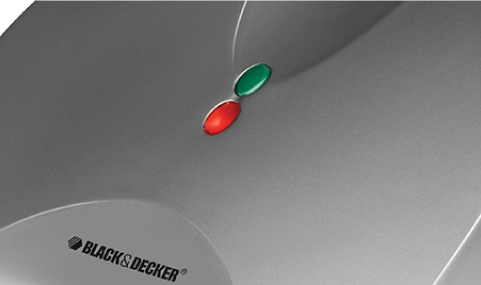 Two lights show when the unit is plugged in and when it's preheated. Belgian Waffle Maker is rated 2.0 out of 5 by 4. Rated 5 out of 5 by Love Belgian Waffles from Have enjoyed for many family events! We have had this waffle maker for 4 years now. We don't use it every week but when we use it its for family events. Examples, brunch at Christmas, sleepovers with the grandkids. It does a great job of making non stick waffles, cleans up easily and stores conveniently standing up. I am currently looking to purchase another as a gift for my daughters wedding. They have 5 children between them. Rated 1 out of 5 by angie332 from It quit working after a couple of uses We bought this at our grocery store, and it quit working correctly after a couple weeks. The bottom griddle quit cooking. We only used it a couple times. Rated 1 out of 5 by WaffleDude from Horrible quality! Purchased this for the family for Christmas and it started out great, but then it completely stopped working within two months! I figured we'd get more life out of it than that. Of course, the receipt box and warranty info are long gone. I would steer clear of this product because the quality is terrible. I did get a few good waffles out of it though. Rated 1 out of 5 by Voyageur5 from Useless Totally useless this is supposed to be nonstick!All the waffle I tried to make and this whatever the recipe or mix used stuck solid to top and bottom Iron and this even if I put or not any oil on it.So now I'm stuck with a nice door stopper because I doubt this company will give me my money back.